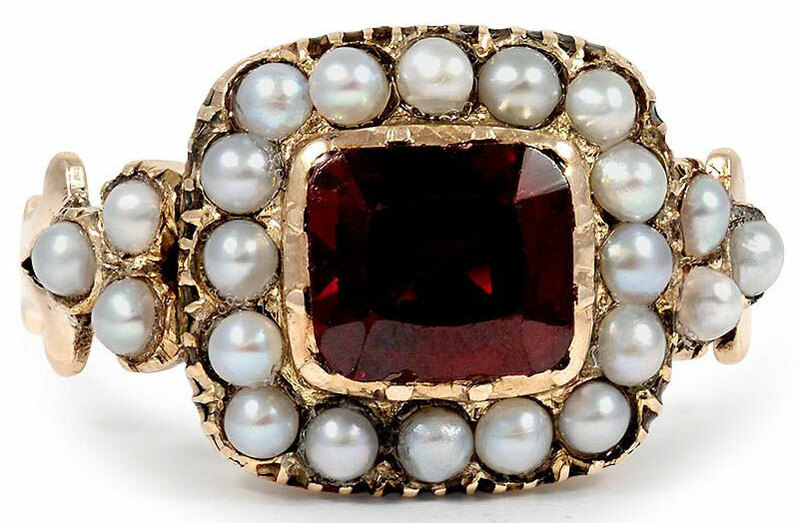 An authentic Georgian ring is considered to be a piece produced during the reigns of Kings George I-IV and (lastly) William the IV. Rings during this period crafted from 1714 to 1830 (sometimes considered up to 1837), often reflect a longing for the "good old days" of the Late Middle Ages and Renaissance years through their designs and styles. 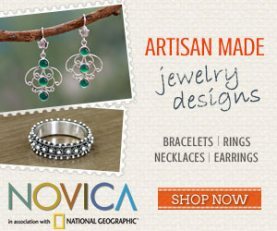 Below you will find the decorative styles, materials and metals used during the Georgian era plus tips that will help you to find an authentic Georgian ring. And if you have any questions or comments about rings made during this time, just use the comment box at the end of the page! Fun Fast Facts About Georgian Era Rings! Pinchbeck, a gold imitation made with 83% copper and 17% zinc was popular during this time. Georgian ring designs were heavy influenced by Memorial pieces which reflected the Romanticism of the times. Rings made before 1750 were painstakingly crafted with hand-hammered alloys. Rings throughout the Georgian era often represented natural themes and intricate shapes. 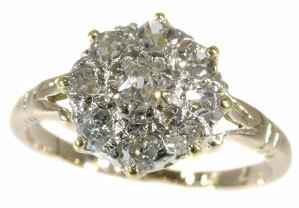 During this time, innovation in the use of gemstones - particularly large old world cut diamonds - occurred. While diamond resources were quite limited (and remained so until the late 19th century), it was during these years that experimental settings and open facets were designed to allow more light reflection in colorful gemstones and striking diamonds - the Georgian era was when a real interest in maximizing flash, fire and brilliance of gemstones and diamonds set in jewelry began. 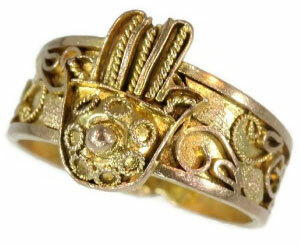 Georgian ring style themes which were consistent throughout these years included ribbon work, butterflies and flowers. Many Georgian antique wedding bands were created with Grecian inspired designs which were very delicately shaped with intricate metal works including acorns, doves, flowers, scrolls, and wheat stalks. The Georgian era was also characterized by a need to preserve memories and the times of the day. As a result, distinct and very unique Georgian rings such as the memorial ring, the locket ring, and the poesy ring were created. The memorial ring, also known as a mourning ring, was designed to preserve the memory of a loved one and included rings with a small portrait, or initials carved into the ring, or sometimes hair from a loved one woven into the back of the ring or preserved on the front of the ring. Locket rings too had spaces to hold the hair of a loved one or a miniature picture. While these rings were not intended to be used as wedding rings, today they are sometimes purchased as unique wedding rings which symbolize the remembrance of eternal love. The Georgian poesy ring was a betrothal or wedding ring which was usually crafted out of a plain gold band engraved with Old English love sayings - for example "I Love My Choyce" or "Keepe Faith Till Death" - on the inside and sometimes outside of the band. Another unique type of Georgian ring was the iron cast ring first developed and crafted by the Royal Berlin Foundry. These rings were copies of gold rings which the wealthy turned in to support the War of Liberation (against Napoleon) at the start of 1813. Once they turned in their ring a copy was made using cast iron, and the rings were often engraved with "Gold gab ich fur Eisen" which means "I gave gold for iron." Georgian rings were usually crafted from 22k and 18k gold. Occasionally, rings from this time made with 15k or 10k karat gold may be found but they are not as common. Rings were also made with silver and pinchbeck, a popular gold imitation of the day made with 83% copper and 17% zinc. Settings and prongs for gemstones and diamonds were made with silver, and sometimes silver plated over gold. Before the 1750’s all pieces were created with hand-hammered alloys which gave metal rings from the Georgian era a speckled or sometimes rough pitted look. After the 1750's, machines and presses were invented to cut out the hard work needed to create hand-alloys and a rolling machine was used to craft more uniform streamlined metal for rings and other types of jewelry pieces. While large diamonds were all the rage with the nobility and royalty, these rings are a very rare find today (most, like the Berlin cast iron rings, are in private collections or museums). Sometimes, diamond Georgian rings may be found with small clusters of diamonds - but in either case, the diamonds were usually cut with old world rose or table cuts. Rose cut diamonds in Georgian wedding rings or engagement rings often had a light piece of reflective foil beneath the diamond to increase brilliance (as did other gemstones set in rings from this era), but in many cases the foil has worn away or has lost its reflective qualities; some antique jewelry companies will restore the foil, although the foil restoration requires special care and a highly experienced hand. Instead of diamonds, many rings in the Georgian era were made with materials which included royal blue glass, rock crystal, and marcasite (an iron sulfide mineral which is somewhat brittle). Colorful popular gemstones of this era were also used in rings including emeralds, rubies, sapphires, garnet, topaz and black onyx. 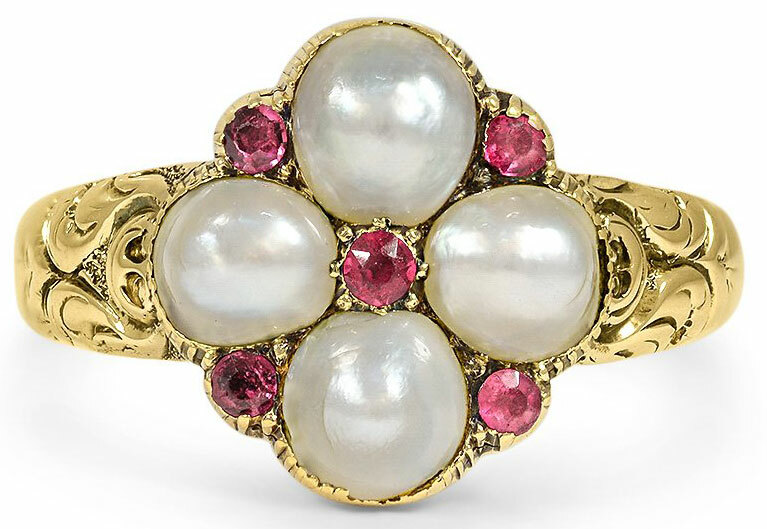 Additional materials such as coral, mother of pearl, river pearls, and shell were also frequently used in rings. Some rings which used glass paste as an affordable gemstone imitation have survived in fair condition as well. Whatever materials were used, Georgian rings are often highly colorful and crafted to reflect the Romanticism movement of the times. 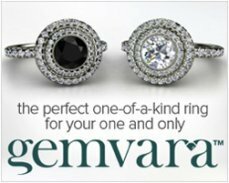 These rings were designed with intricate details and are a celebration of beauty and sentimentality. Rings from the Georgian era are quite rare - and they are often priced well over $1,000 dollars. Even simple engraved bands from this era are valued often at around $3,000 to $5,000 dollars. Keeping in mind the rarity and value of these rings, your most important shopping tips for Georgian era rings is: if the price seems too good to be true, it probably is not an authentic antique ring from this age. When shopping for these types of antique wedding rings, stick with reputable antique dealers with a long history dealing in antique jewelry. 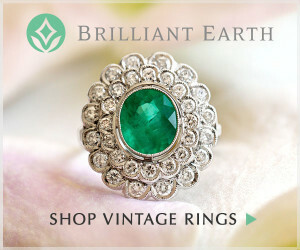 Brilliant Earth Antique Rings: Here you will find a small selection of Georgian rings plus antique rings from Victorian, Edwardian, Art Nouveau, Art Deco and Retro times. 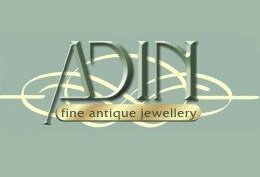 Adin Antique Jewelry: For over 13 years, Adin has been a leader of online antique jewelry sales, and they have an extensive collection of authentic antique rings including rings from the Georgian era and sometimes even earlier. 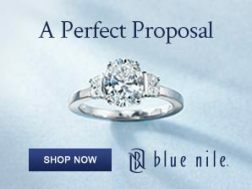 A few times, they have had stunning authentic antique rings from the 17th century. 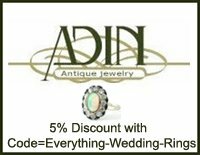 And now as a bonus for our visitors, Adin is offering a 5% discount on all purchases, just use code=Everything Wedding Rings to take advantage of this special during online purchases or mention this code when purchasing over the phone! 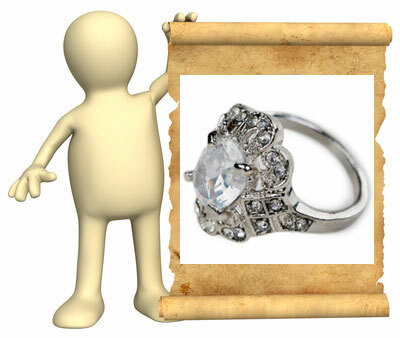 (Adin also offers free ring sizing on most rings and every ring comes with a certificate of authentication). 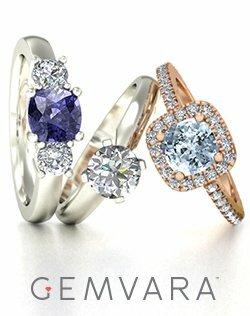 The Three Graces: In business for over a decade, the Three Graces often has a small selection of Georgian era rings. 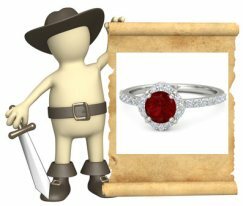 If you are looking for antique jewelry pieces through auctions, estate sales or other avenues, remember the popular metals and gemstones used during the day to help improve your chances of weeding out any rings which are not truly from this era. 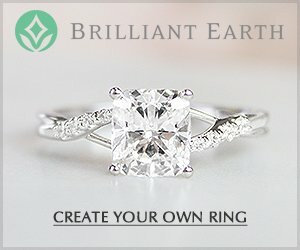 Before purchasing the ring, check sizing conditions as well. While many rings may be resizable, it is best to check first - and to see if sizing the ring will dramatically affect its value. Do you have comments or questions about antique Georgian rings? 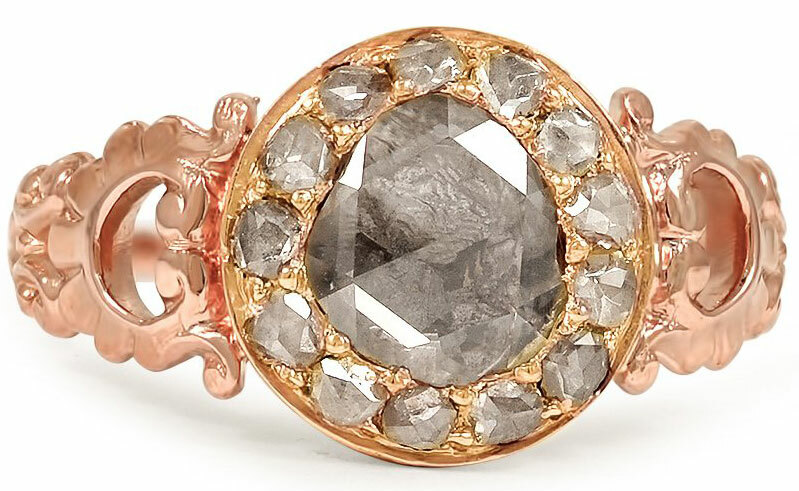 Send in your questions or comments, or share pics of your one-of-a-kind antique Georgian ring here! 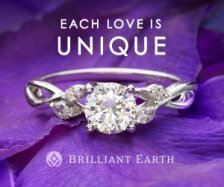 If you are sending in questions about a ring you own, please include as much detail as possible about the ring along with clear pictures. Just wondering - real Georgian Rings or fakes? 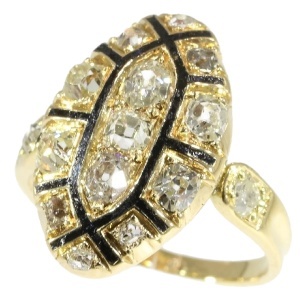 Take a look at Retro Rings, and see how World War II influenced jewelry styles.